· How much is the freight to my place? · Is my order insured? · Why is there a surcharge in my cart? · What about if I won't be home? · Can wine be delivered to my PO Box? · Will the driver call before delivery? · Can I request a specific time for delivery? · Is there anywhere in Australia not serviced? · What is your Heat Policy? · How are the wines cellared and transported? · Does WineStar ship Internationally? · How can I pay? · Do you provide a tax invoice? · Can I order over the phone? · Can I pick up my order? · What is your Safe Shopping Guarantee? · What is your Returns & Refunds Policy? · How can I join your mailing list? How much is the freight to my place? There is a simple freight calculator located on every product page as well as on the shopping cart page. Simply input your postcode then choose your suburb from the drop down menu for freight costs and estimated freight times. Remember, we offer a FREE Delivery option on dozen lots straight or mixed to most destinations. We do have surcharges for quantities not in dozen lots (as freight companies charge per dozen or part thereof) and also charges to outlying or regional areas - as categorised by freight forwarders (we do subsidise these heavily). Our freight page gives an overview of any applicable surcharges and forms part of our Terms & Conditions of Use. Yes. Your order is insured against loss and breakage. Please note that freight companies will not recognise claims that have been signed for or left unattended where an authority to leave the wine has been given. If you suspect breakage simply hand the box back to the driver and do not sign for it. We will issue a replacement and re-delivery at our cost. Further, freight companies will not recognise claims three months after stated delivery date (as per track and trace). Why is there a surcharge in my cart? As per our freight information page, orders of non-dozen lots attract a $10 surcharge ($20 when orders of 5 or less bottles total are ordered). The surcharge is implemented for a variety of reasons. Firstly, freight companies charge us the same to freight 2 or 3 or 6 bottles as they do to freight 12 bottles for potentially half the profit hence we cannot subsidise the freight as we do with full dozens. Secondly, there is often a repack exercise when less than 12 bottles are ordered involving greater time and effort with packaging - again this doesn't exist with orders of 12 bottles. Finally, we still need to insure the full amount regardless. We are confident that the total price paid - including potential surcharges or freight fees, the provenance of the wines and service provided by WineStar are still very highly competitive if not the best available. What about if I won't be home? All deliveries are made during business hours so places of work or business hours addresses are the most favoured destinations. Failing that, we ask that you leave additional instructions if no one is home, such as "leave at back door" or "OK to leave on front porch". If the order is being sent with a courier and there is no one home and no authority to leave, the driver will leave a calling card asking you to liaise with them for re-delivery (voiding our estimated delivery times). This may cause you undue delay. WineStar can not be responsible for these delays or issues arising from wine not being delivered due to no one being home and no authority to leave goods given - hence our advice of a business hours address or authority to leave. If the order is being sent with Australia Post and if there is no one home and no instruction, the driver will leave a card and deliver to the local Post Office for you to pick up. Deliveries unclaimed within 7 days will be returned to us and accounts will be credited less freight fees. Please note that freight companies will not recognise claims that have been signed for or left unattended where an authority to leave the wine has been given. In some regional areas delivery will be to the nearest post office and you will be required to collect the wine from there as a condition of purchase. Can wine be delivered to my PO Box? Yes, noting Australia Post is the only carrier that can do this and must be the chosen option. Will the driver call before delivery? As a rule, couriers will not call prior to delivery so we ask that this not be requested to avoid disappointment. Can I request a specific time for delivery? The freight companies quote business hours delivery. As we outsource deliveries globally, we are unable to accept orders conditional on a specific date or time. While every endeavour will be made to have deliveries occur at a requested time, this cannot be guaranteed. By request we are able to delay dispatch of an order to ensure it does not arrive before a specific date. When the order is ready to be dispatched we will email you tracking details so you can follow its progress. Is there anywhere in Australia not serviced? Northern Territory and North WA and some extremely remote areas are not serviced. Please use the Shipping Calculator located on every product page as well as the shopping cart page to determine the serviced area. All online orders are given the option of our Heat Policy at checkout. In instances of extreme heat, orders are held in our climate control until there is a clear path of milder temperatures. Our policy since been adopted by many fine wine retailers. The Heat Policy kicks in at 29°C (BOM Forecast) at either origin or destination. In the peak of hot season, this may add a few days to shipping to the East. However, it could add many days shipping to WA as we only use 7 day forecasts which is similar to the shipping time so we err on the side of caution. Of course you may decline the heat policy at checkout or request immediate dispatch at any point after purchase, at your risk. Failing that, we will keep your wine in our climate control at no cost and check forecasts for all destinations daily with periodic reminders to you. How are the wines cellared and transported? WineStar cellars all of our wines in a state-of-the-art climate control which is the envy of the retail fine wine industry. All dispatched orders are treated with the utmost care. Orders travel overnight, wines are bottom stacked and we stipulate to all transport companies the need to keep wines cool, dark and dry at all times. It is also worth reading our Heat Policy to appreciate the level of care for your valuable wine. We welcome a comparison of our facilities and heat policy to any of our competitors (many of which have adopted our policy)! Yes, as well as Australian delivery, we service Singapore, Hong Kong and Japan. Our Export Page has all the specific information on shipping to these countries. We accept all major credit cards (Visa, MasterCard, American Express and Diners Club) as well as PayPal and MasterPass payment. Do you provide a tax invoice? Upon placing an order, a copy is automatically and immediately emailed to you. Upon dispatch a tax invoice is emailed as well as attached in PDF form. Invoices can be used for tax deductions for tourists at TRS offices at all major airports. You can view all past orders and invoices simply by logging into your account. Our preferred mode of ordering is via the website. The site has up to the minute stock information and pricing, is completely secure for both the user and the merchant and ensures accuracy of orders, minimising error completely. We are unable to accept first time phone orders for security reasons. No. Our licence does not allow pick-ups from our Cellarage and Administration Centre. We do allow order cancellations noting charges will be incurred depending on the stage of cancellation. There is no charge if orders are yet to be processed. If processed there is a cancellation fee of $20. If dispatched, there is an additional fee to cover freight both ways dependant on customer destination. All account pages, including your checkout pages, are secured by 256-bit secure socket layer (SSL) technology. All credit card information is stored on bank servers, not ours. We have a perfect record, are well established and highly respected in this space. 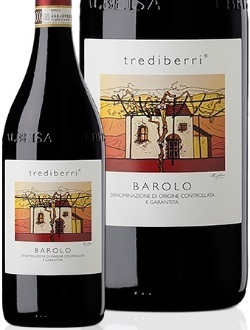 We understand regardless of the awards and plaudits afforded a wine that it is not going to be to the taste of every single person that purchases it. Ironically the more we sell of a given wine, the greater the chance that there will be someone out there that doesn't like it. One factor to consider before contemplating return is that of a faulty bottle, be that the affects of TCA in a wine finished under cork or another fault that is still likely with screwcap. Our first suggestion is always to open another bottle (should one exist), allow the wine some time to breath (ideally decanted for an hour) then try again. 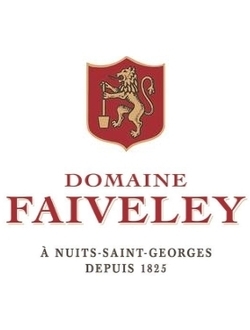 If this wine is sound, then the initial one opened is probably faulty and we can arrange a credit or replacement (will vary dependent on winery/supplier policy). In all instances we require you to keep the offending wine as a credit or replacement is not possible without it. If you wish to return wine not to your taste, we would be happy to refund in full any bottles returned to us (if we are satisfied they have been stored and handled correctly) with a deduction made for our initial freight and insurance fee. This will vary dependant on your location. Please note we are unable to process refunds until the wines are received in good condition although most refunds will be processed within 24 hours of receipt of goods. Please email us with any returns queries and we can advise the correct course of action based on the relevant issue. Protecting your privacy is important to WineStar. We hope the following policy will help you understand how WineStar collects, uses, and safeguards the personal information you provide on our website. If you browse WineStar, you do so anonymously. We don't collect personal information — including your email address. We do log your IP address (the Internet address of your computer) to give us an idea of which parts of our website you visit and how long you spend there. But we do not link your IP address to anything personally identifiable. At times we may request that you voluntarily supply us with your email address, for purposes such as corresponding with us or making a purchase. If you provide us with your email address, we will send you The WineStar Journal on a weekly basis featuring the wines you want at the prices you want - including all the 'hard-to-gets'. We do not share your personal information with other companies under any circumstances - the exception being only the delivery address displayed for the logistical purposes in sending you any purchase made. WineStar provides customers with an easy means to decline to receive email offers. Although most customers tell us they appreciate receiving notice of these opportunities, we recognise the importance of providing you with choices. At any time, you may request to discontinue receiving these offers from us by simply replying to the email and informing us of your preferences. All email offers that you receive from WineStar will tell you how to decline further email offers. WineStar is fully committed to data security. We use Comodo SSL 128bit encryption for all transactions. If at any time you want to know exactly what personal information any part of our web site is holding about you, you may request your details of that information by emailing us. We will endeavour to provide you with this information inside two working days. Since 1997, The WineStar Journal has been the best weekly journal and offers newsletter of its kind and the best kept secret for tens of thousands of subscribers. Subscription to The WineStar Journal is completely financial and obligation free and can be unsubscribed to at any time. You do not need to make a purchase to receive this! Typically, The WineStar Journal will arrive in your inbox Tuesday morning AEST. You can join our mailing list here. You may also wish to subscribe to StarImports, our specialist publication dedicated to the best imported wine offers. We would encourage anyone with an interest in imports of all types to join our StarImports list. You can receive your free StarImports offers by joining here. Please note: Due to the calibre of product and pricing, the StarImports mailing list is restricted to existing customers only or recognisable company domains. Trade customers are disallowed on the list nor will be supplied. Further, free webmail domains will not be included on the list. WineStar does not sell alcohol to persons under the age of 18. By using this site you affirm that you are over the age of 18. WineStar makes every effort to ensure that alcoholic beverages are not delivered to anyone who is under the age of 18. By using this site you are acknowledging that the person receiving a shipment of wine is over the age of 18. WineStar (Licence No. : 36114695) supports the responsible service of alcohol. Under the Liquor Control Reform Act 1998 it is against the law to supply alcohol to a person under the age of 18 years (Penalty exceeds $6,000) and/or for a person under the age of 18 years to purchase or receive liquor (Penalty exceeds $500). Any opinions, advice, statements, services, offers, events or other information or content expressed or made available on WineStar or StarForum are those of the respective author(s) or distributor(s) and not of WineStar. We neither endorse or are responsible for the accuracy or reliability of any opinion, advice, information, or statement made on this site with the exception of authorised WineStar employees acting in their official capacities. Any images used on the WineStar site are done so for illustrative purposes only and may not be representative and should not be used to glean such information as a wines vintage, type of closure or bottle shape and colour. 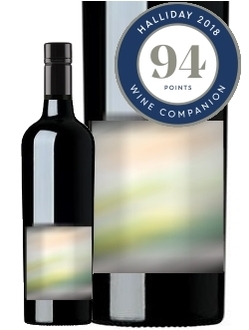 WineStar respects the intellectual property of others, and we ask our users to do the same. 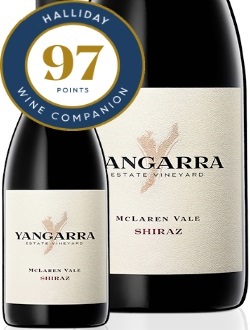 The copyright of all content (text and images) on this site belongs to WineStar under the copyright laws of Australia, unless otherwise attributed. The content on the WineStar site (including StarForum) may not be copied on to other websites or into other works or otherwise used without prior written permission from WineStar. Likewise, if you believe that your work has been copied in a way that constitutes copyright infringement, please provide WineStar with the details in writing for immediate removal once verified. WineStar is a wholly owned subsidiary of WineStar Pty Ltd. Based in Melbourne with bricks and mortar retail wine outlets since 1975, our online venture began in October 1997 making us one of the internet's longest serving wine retailers. We now have national distribution channels as well as service parts of Asia. The Directors of WineStar are brothers Pierre and Bert Werden. Full contact details of WineStar can be found here. StarCellar is our dedicated cellarage program to help you build up your own cellar, under perfect conditions and at the best rates available. StarCellar is perfect for Australians living or working overseas or locals looking at an economical long term cellarage option. 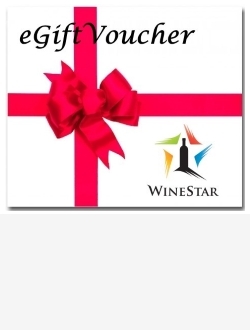 The program operates in both Sydney & Melbourne but utilised by WineStar customers all over Australia and the world. 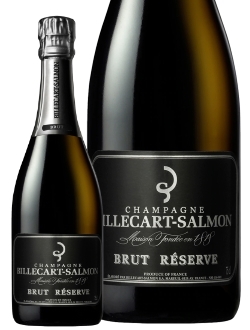 StarCellar rates are all inclusive on either per bottle or per month blocks and include all incidentals. You can take delivery of your wine at any time. For full information go here. Our rating system was written and devised by Bert Werden in 2000. 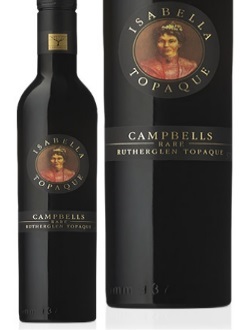 It has been used and referred to by many publications in the Australian Wine Industry. The full system with detailed descriptions can be found here. You can log into your account at any time and track your order once it has been dispatched. Our website allows you the ability to view recent orders placed online and reprint invoices if required. Go here to see your recent orders. Note login requires the email used to place the online order. The customer control panel allows you to change your details noting this change will come into effect for your next order placed online. Go here to edit your account details. Note login requires the email used to place the online order. Where possible our tasting panel prefers to look at all new wines being added to the WineStar website as well as vintage rollovers. We are always on the look out for the next big thing as well as the best kept secrets. However, we do not consider unsolicited samples, preferring to do justice to the wines already awaiting tasting. We ask anyone in the trade wishing to submit samples to email us first (and prior to sending). On occasion we find ourselves with more samples to consider than we have room on the website (we already have 3000 wines in stock). For this reason, we may ask that samples not be sent if we do not consider an opportunity for them at WineStar. All deliveries for WineStar need to go to The WineStar Centre unless otherwise advised. Full contact details of WineStar can be found here. Deliveries can be made between 9am and 12pm, Monday to Friday. Please note we will not accept deliveries on warm days and no deliveries will be accepted on open trucks or trays under any circumstances. More detailed information can be requested by emailing us.